Shaggahs Hair Studio is located in the iconic precinct Chinatown in the historical Pearling town of Broome. Shaggahs Hair Studio is ‘locally’ owned and run by Trevor and has been operating for over 20 years, which is one of the longest running salons in Broome. 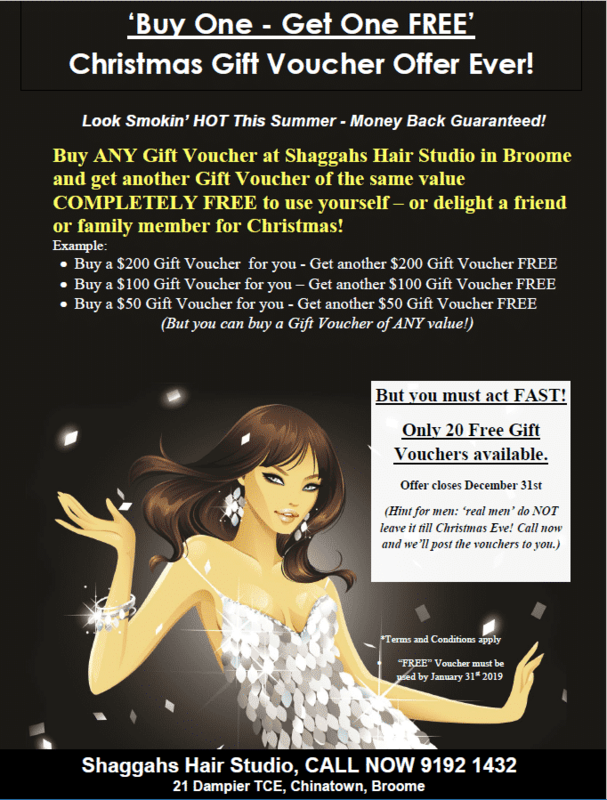 Shaggahs Hair Studio is located in the iconic precinct Chinatown in historical Pearling town of Broome. First time visit to Shaggah’s? 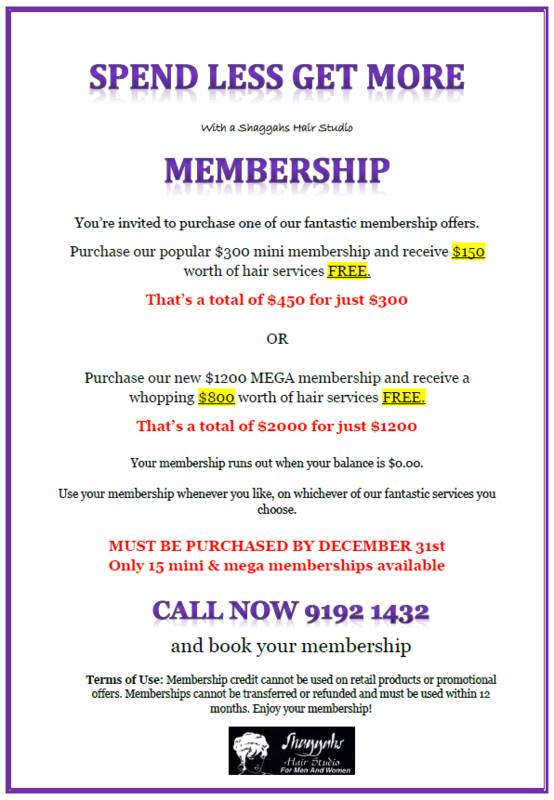 Claim your Free $20 New Client Gift Voucher. Available to Women only. At Shaggahs Hair Studio, we offer the best there is, it’s our guarantee to make every client feel special, important and enjoy their experience everytime. We do believe that going to a salon is not just about your hair it’s about the Total Salon Experience! We strive to offer every client a style that is different, unique but most of all suited to the individual. We offer everything that you would expect from a salon of this class and standard, with highly trained and experienced staff who love their work, making you feel special and look amazing. At Shaggahs Hair Studio, you are not just a client, we love to get to know you and your family; you will experience lovely, genuine, professional staff, and long term friendships. Shaggahs Hair Studio is always a pleasure to visit. Lovely atmosphere, lovely customer service & of course, lovely ladies! Thank you for always creating my fantastic hair! Call us now: 08 9192 1432 and avail any of our offers this Christmas! We look forward to meeting you. Book an appointment now. Shaggah's Hair Studio © 2018. All Rights Reserved.